These will rank as my most comfortable spring shoe of them all. Evereve always has a selection of shoes that have comfort in mind so rest assured if you buy a pair of shoes from them they are going to feel great. I bought another style last year that I wore into the ground also by Kenneth Cole and they were like wearing wedged slippers so I was hoping these would feel the same and they did not disappoint. Cushioned heel bed, minimal arch and I’m all about that gray as another neutral option. These run true to size. More pics of them in this blog post. Well you all know I love working with Marc Fisher because of their quality and amazing styles. 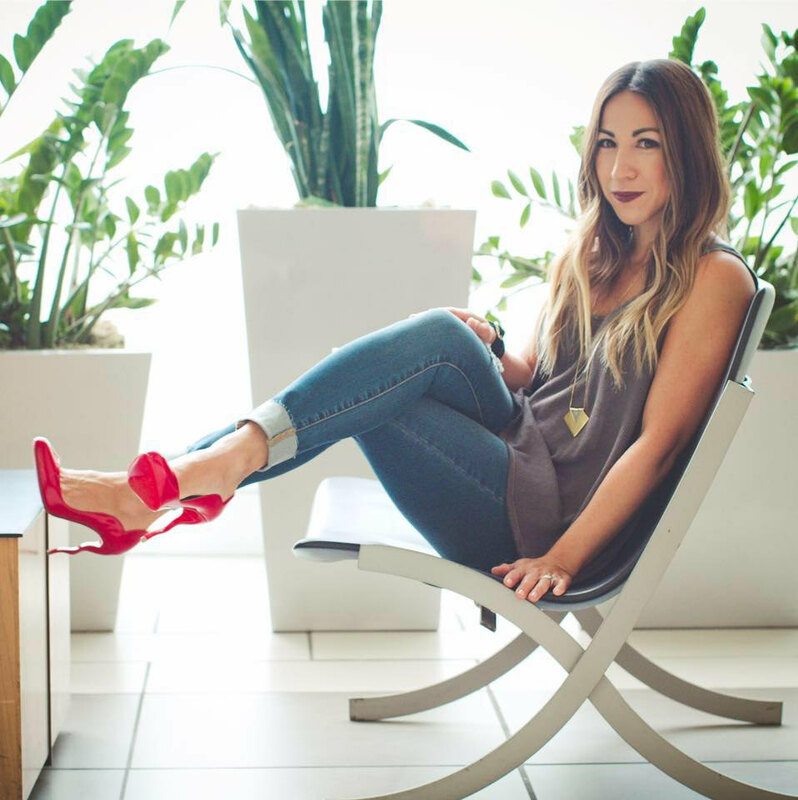 From sky high wedges, to edgy details but also keeping comfort on the forefront Marc Fisher is hands down one of my go to shoe designers. These espadrilles are so good. Crazy comfy, come in a few color options and best part? They are on major sale. Marc Fisher is not inexpensive by any means but you get what you pay for. Always well made and long lasting. Plus you can use my code LTD244 to save 20% off at Marc Fisher which gives an amazing discount! 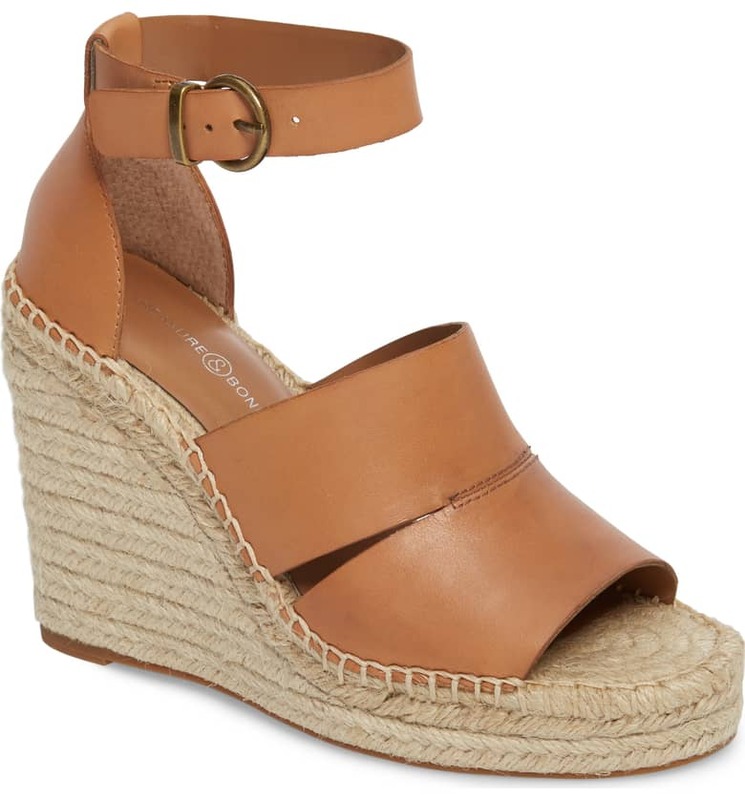 These spring espadrilles are a must have especially at this price! These run true to size. Additional photos of these styled in this blog post. Remember these? Featured in 2 Shopping Cart Sunday blog posts and after going back and forth I finally scooped them up. So worth it! I’m a sucker for saddle colored espadrilles and the leather on these is amazing. The height is taller but you don’t feel it at all. Even my Mom stopped over and tried them on and said she could wear them. I sized down 1/2 size in these. They also come in a nice neutral gray (on sale at Nordstrom in that color) and a few other color options. I’m going to link them at a few retailers in the widget below. Keep in mind only some colors are on sale. You can also see them in my SheIn Haul blog post the other day here. So I don’t have these but they have been on my radar awhile. They were super popular last year and while I considered getting them this year because of the rave reviews I did not only because I feel so many have this pair already. BUT they are highly loved by everyone who has bought them, come in a ton of color options and priced really well. Another great spring and summer shoe by Marc Fisher. Still obsessing over leopard and love leopard as a neutral. It’s amazing how much you can do with this print. What I love about this shoe is the platform which is almost like a flatform because there is no arch which makes these crazy comfortable. Check out this blog post to see more of them. My code LTD244 is valid for 20% off these at Marc Fisher. These also come in solid colors seen here. Remember these from last year? Well they are back again this year. I still love the saddle color in these but they are back with even more styles and colors this year all in the widget below. See more of them in this blog post. If you like the saddle they are on major sale here. Run true to size and still rank as my favorite slide sandal. This was one of my favorite spring shoes last year and it’s trending again this year. You can see more of them in this blog post from last year. Love the soft pink as another neutral option but it also comes in a soft gray. These have always been one of the most comfortable pair of espadrilles I have ever owned! Tons of sizes at the above hyperlink but you can find select sizes here on sale. These are nothing you haven’t seen but going into my 3rd year with these and still they are one of my go to flip flops. They are definitely a splurge but worth it. They dress up an outfit or add a bit of chic compared to wearing a regular flip flop. Come in a ton of colors and prints. Ok so that’s it for now with the new spring shoe editions. Hopefully this helped with any questions you have had on some of the shoes I’ve been featuring lately. I’m sure I’ll be adding more but first need to clear my closet haha! All super cute! I especially like the leopard lower espadrilles. Those are a favorite too!